How to Create New Virttual machine on my PC 1240*768 resolusiont ? ... Executing " files list v=vol1"
Count of open files found on volume vol1: 1. ... Executing " connection clear 8"
No open files were found on volume vol1. How to close user session compulsively on NSS Volume? How to close user file compulsively on NSS Volume ? My Laptop have 1240*768 resolution display. 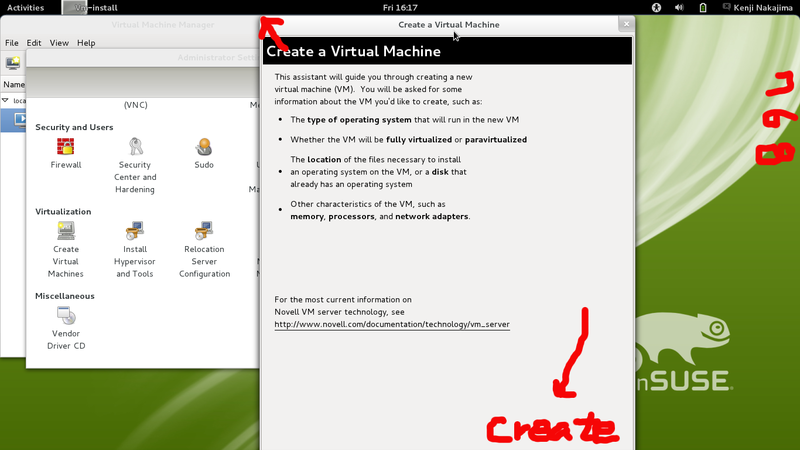 How to create new VM on openSUSE 12.1 ? This dialogue could not resize vertical height. And I can not never access 'create' button. Do I have to bring big size display with my Laptop ?